Nowadays, Android Smartphones come with such bigger camera specifications that we never imagined! It’s not just about the number of megapixels, but about the sensors too. We’ve already seen Smartphones that are packed with DSLR-level sensors and manually controllable options. Despite all these, most manufacturers fail to get a nice camera app for these devices. From the photographer’s point of view, the lack of a good camera app can cut down the entire productivity in Smartphone Photography. But, don’t worry, we have alternative options. Thanks to the improvements in Android OS, we can now use third-party Android Camera Apps with full permission. 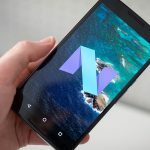 It means that even manual camera controls will be available through the applications. Given that there is a big number of camera apps, it will be tough to pick one. 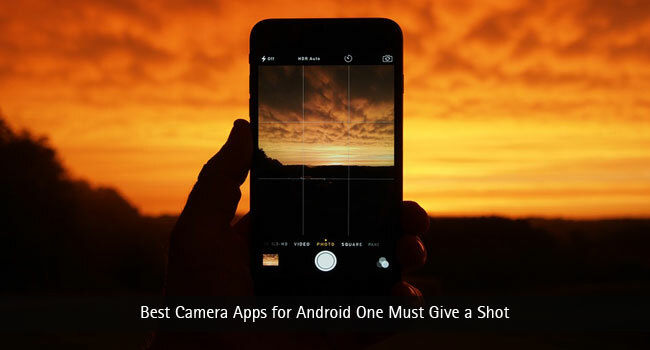 In this article, we have compiled a list of Best 5 camera apps for Android you can use. Each app offers different features but all of them would help you capture well. 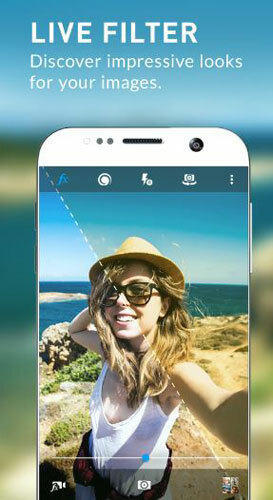 Camera360 is one of the most popular Android camera apps you’d find in Play Store. It’s loved by both advanced and normal users. 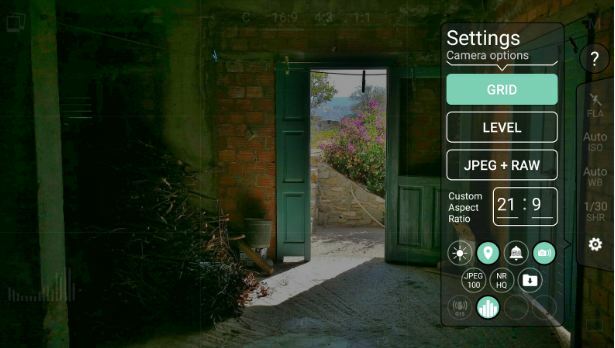 To satisfy both groups, Camera360 offers a comprehensive set of features as well. For instance, for an advanced user, the customization of camera settings would be a good thing. On the other hand, if you are just into a selfie thing, you can go for that option. In both cases, Camera360 has a huge collection of effects and filter to choose from. 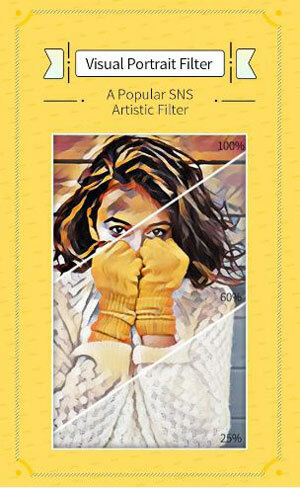 And, you can see the filters as you are capturing. Talking of the filters are effects, they are nice. However, chances are low that you would love all of them. Its shutter speed and the manual controlling options are worth praising, we bet. In addition to high-quality capturing, Camera360 also has one in-built photo editor. This can be used for adding effects, creating collages etc. In short, Camera360 is a truly comprehensive camera app for both types of users. If you’re into serious photography, it’s good to have this app on your device. At least, you can use the app as a secondary capturing app for your casual moments. ProShot is for those who are serious into Smartphone Photography! ProShot is a premium Android app for capturing needs. This app will help you to unleash the maximum capability of your camera. Depending on the photo requirement, you can choose the modes and make necessary changes. For instance, just as you are using a DSLR Camera, you can choose between Auto Program, Manual Mode or two Custom Modes. In each mode, you have plenty of customization too. 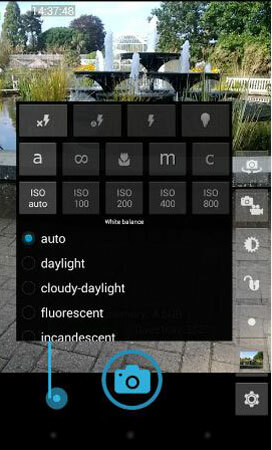 For instance, you can change factors such as flash, focus, ISO, white balance and shutter speed. The best part is that you can capture shots in JPEG or RAW. You also have options for customizing the capture resolution, availability of a live histogram, grid overlay, custom aspect ratio modes and Level management. In short, ProShot can convert your device into a half-baked DSLR Camera with plenty of features. The interface of ProShot is not that simple at the first look. Because of that, you will need a few days (or, hours) to get accustomed to the UI. Once you are done, you have the best scenario to capture. So, ProShot is for those who are really passionate about Smartphone photography. You can check out the demo app, but the premium app is worthier than $5. When you purchase ProShot, you are purchasing a complete solution for a variety of capturing needs. Open Camera is one of the best camera apps for Android when you need manual controls. For instance, you can change focus modes, scene modes, white balance, ISO, exposure etc. All these controls are arranged on the camera app screen – just like you would see in a DSLR Camera interface. The best part about using Open Camera is that it is suitable for both needs. Despite the availability of advanced set of controls, Open Camera is very fast when it comes to capturing shot. It can be even faster if you use home screen of the app. Apart from the manual controls, this app has some other cool features too. Some of the features include support for external microphones, customizable UI, Support for Android 5 Camera2 API and an option to capture a photograph via voice commands. On top of all these, Open Camera gives you good output too. The interface of Open Camera may require a few minutes from you. But, once you are set, you can use this free app to capture better shots. It may not be useful for casual photography; but, for serious Smartphone photography, you can count on Open Camera. A Better Camera is a combination of two types of camera apps we’ve discussed above. It comes with a bunch of tools for customization, but they are arranged in an accessible manner. So, from the user point of view, A Better Camera is very easy to use. First of all, there are different capturing modes in the camera app. You can choose from Normal Shots, Panorama or Multishot variants. You also get a Night Mode, which is useful for capturing low-light shots. 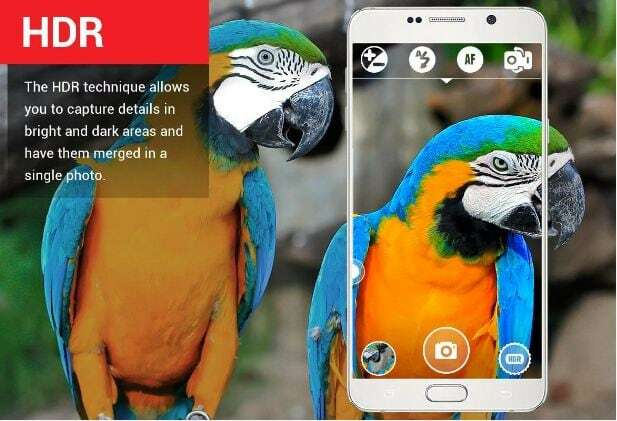 Other notable features of A Better Camera include Pre-Shot, ISO option, White Balance Control, Focus Metering, advanced manual controls on select devices like Nexus 5 and 6, HDR Mode etc. With this app in your device, you won’t have to search for more features. In light of our experience, A Better Camera is a multipurpose Android camera app. Regardless the need, you will love using it. 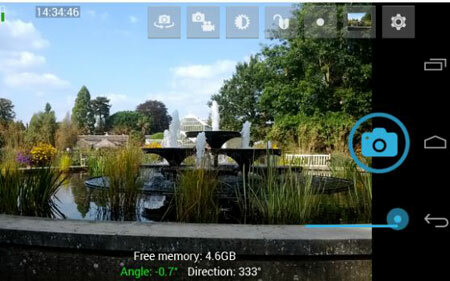 Altogether, it’s a camera app worth having in your Smartphone or tablet PC. 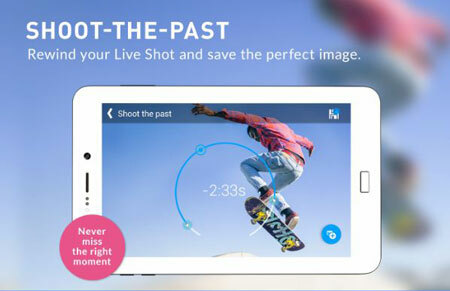 Camera MX happens to be one of our personal favourite camera app for Android Smartphones. 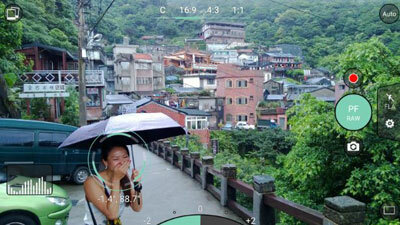 Camera MX has been praised by both advanced users and commoners, thanks to the well-built interface and features. Although there are many features in the app, all of them are arranged in the menus. Depending on the scenario, you can launch it from those menus. In case of both video and pictures, the interface is equally simple and there are customizations too. One superb feature we found in Camera MX is Live Shot. With this mode, you can create moving photographs. They are not videos, but a sequence of photographs. You can get individual shots from the Live Shot or share it as such. In the same way, you can use ‘Shoot the Past’ feature to find out missed elements before capturing. Along with these, you get a bunch of scene modes such as sunset, snow, landscape etc. Also, you can choose from the three aspect ratios, including 16:9 and 1:1. And, what’s more, Camera MX has its own media manager for easier organization and access of the photographs. You should go for Camera MX when you don’t want to spend much time on capturing but want to get good shots. In this, despite the controls, the capturing speed is too good. What do you think about the 5 Best Camera Apps for Android? We are sure that at least one would have grabbed your attention. As we said, different features are available in different apps, and you need to pick one accordingly. If, for instance, you want to have a simple interface, we would recommend going with Google Camera. So, choose well and capture well! Camera360 is the best, I use it and love the filters. UI is simple and clean. I enjoyed using the camera 360, because of its virtual. What I think is Camera MX is the best camera as it gives a lot of features and the picture quality is good. I have used all these apps and Camera MX is best for me. Great article :) Thanks for sharing. It was just amazing! Thanks for sharing. I have tried all apps in my android mobile. Looks great. Thank You! Keep on updating. You can take high-quality photos, professional make-ups with Top android camera apps which will help to enhance and make our pictures perfect.